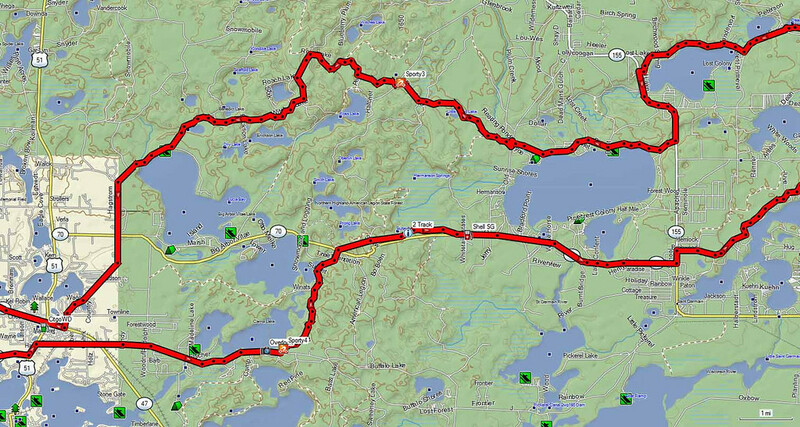 This track is a 185 mile dual sport that runs between Eagle Rver, Woodruff, and Park Falls. It includes some sporty forest roads, sporty pavement, rustic roads, and about 50 miles of National Forest ATV/Motorcycle trail. It involves rolling terrain and many twisting roads. The trail in the National Forest is rocky, winding, and rolling. Overall, it is a very entertaining ride. 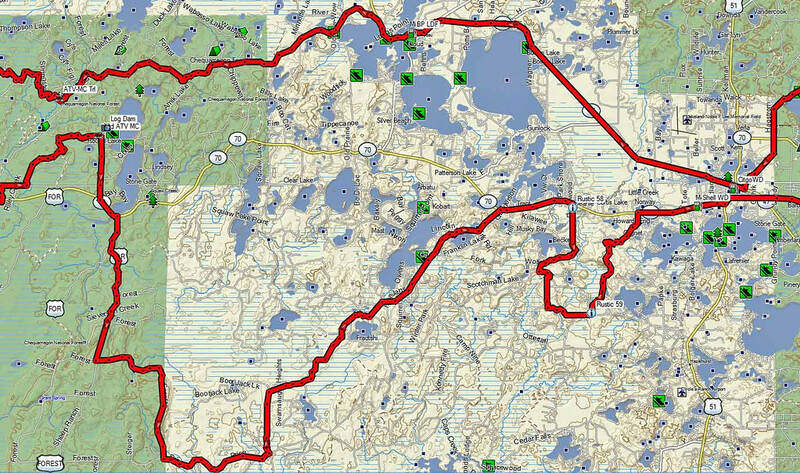 Longest gas is between Lac du Flambeau and Woodruff (105 miles). Gas is available in Park Falls by way of a side trip making longest gas about 80 miles. 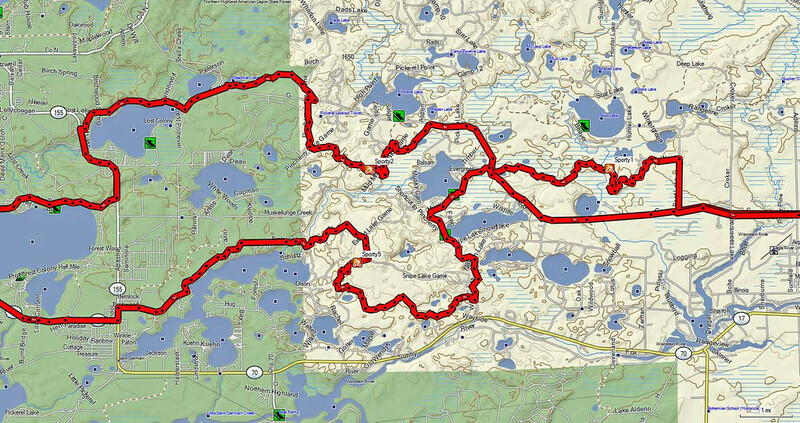 The east end of the route has some great riding on Vilas Co forest roads. There is some great twisty pavement in the State Forest. A variety of action on these segments. 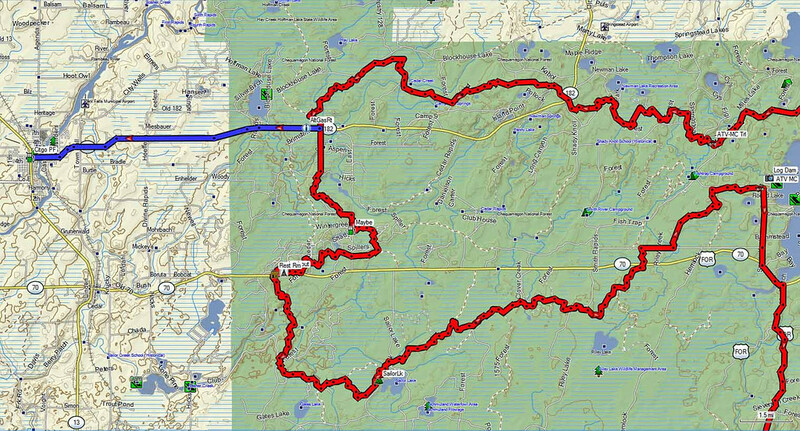 The west end is principally the ATV/motorcycle trail in the National Forest. An out and back alternate gas stop is available. Even though it was a bright and sunny when I scouted this, I neglected to take any pictures. I wish I had as the scenery is gorgeous and the roads and trails had some notable sections that I wish I had photographed. The topo maps indicate that the terrain drives some rolling and twisty routes. Downloaded 1435 times from a prior private site.